Mitt Romney & World Government – The Mormon ‘Kingdom of God’ | Stop Obama Now!! Mormonism has been a NWO-ready religion for more than 160 years. Mitt Romney is not just an average Mormon, but a high priest of the Melchizedek Order, an order that is on the same level with Christ, a priest most high, appointed by God, a priest-king of the Kingdom of God, which will be a physical and political, dictatorial theocracy as the Mormons already established in the western United States in the mid 1800’s. Implementation of the Kingdom of God is central to Mormonism and comes before anything else. The Mormon religious concept of theocratic governance of the US is not compatible with the Constitution. Mormonism, like Islam, recognizes no real separation of church and state. It is inherently a secret, would-be state religion. Only the Elect are allowed in the Temples, not even most Mormons. Romney swore an oath to do everything in his power to set up the Mormon Kingdom, as a physical kingdom on earth. Either Romney believes in Mormonism or not. Will he honor his oath to the demiurge of Mormonism or honor the oath to uphold the Constitution? He cannot do both. The two oaths are mutually exclusive. Whenever Romney has had to choose, Mitt Romney has always chosen first to serve his church. He went on a mission, rather than go to Vietnam. He tithes most generously to the church, but evades taxes. A lot of people, would say that their religious belief comes first, but the problem is really that the Mormon church is like Islam in the sense that there is no separation of church and state and the church, which is a secret society, has a doctrine that it will ultimately control the United States and the world, with the help of willing non-Mormons (fellow travelers and useful idiots). The Mormon Prophet, Joseph Smith, ran for president in 1844, with a megalomanic plan to implement world government. He had already assembled a group of men, sometimes called the Council of Fifty, who were to be the beginning of Mormon world government. Joseph Smith also personally wrote a new Constitution for the United States, which he said he received in a revelation from God. Smith taught that the Constitution was divinely inspired, but that God only ordained it as an intermediate measure until the Mormon Government of God could be installed. 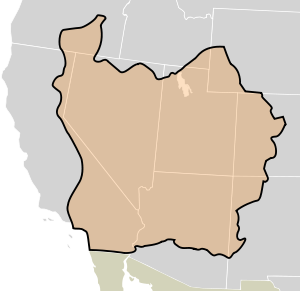 of Deseret in the 1840’s. Probably, the Mormon version of the Constitution is still in a vault somewhere in Salt Lake City. Though it was reportedly lost, the Mormons have misplaced few of Joseph Smith’s important documents and this would be one of the most important documents. Would be interesting to see what the Mormon Constitution looks like. Mormonism and Black Nationalism share some theological roots and the Black Liberation Theology of Obama’s church also teaches that the black race will destroy the Constitution and erect a physical, millennial Kingdom of God on earth, which the black man will rule, after the defeat of the white Antichrist in the final conflict, their version of Armageddon. Mormonism has religious concepts that are just a bizarre as Black Liberation Theology, based on occult religious ideas that man can exalt himself to godhood. This is similar to Nazi and the Imperial Japanese beliefs of the 1930’s and 40’s. The Nazis believed that the Aryan race could become a race of gods — with their help in achieving racial purity. The imperial Japanese worshiped their emperor as a man-god. Politicians, such as Barack Obama and Mitt Romney, with backgrounds of such megalomanic religious beliefs — specific to America — about how they are to control the destiny of the United States and the world, should not be elected president. Whether it is practical for them to implement the “kingdom” is not the issue. The risk is just unacceptable that they may try to carry out such personal religious agendas while in office. This should not be a controversial idea, but somehow it is among both corrupt Republicans and equally corrupt Democrats, who put the short-term interests of their respective party above the welfare of the America and are quite willing to win at any cost, even if it destroys the Constitution and the country in the process. In 1844, an ex-Mormon, who ran a local printing press, printed critical opinions about Joseph Smith and the Mormon church. Smith had this printing press destroyed. He was jailed for that and a few days later killed by a mob. For the next 70 years until the 1920’s, Mormons swore an Oath of Vengeance on America for the murder of their Prophet. Mormonism teaches that America is the biblical Babylon the Great, to be destroyed in their version of the end times, when the Mormons will establish a “New Jerusalem” in Jackson County, Missouri. 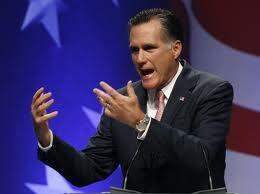 Mitt Romney’s ancestry goes back to the founders of the Mormon movement. One of his ancestors, Parley Pratt, has been called the St. Paul of Mormonism and helped to develop significant parts of the doctrine. If he is elected president of the United States, it can be seen as a step towards fulfillment of Joseph Smith’s original prophecy and a validation of the tradition of his own family. The book “Joseph Smith and World Government”(1958) by Hyrum Leslie Andrus, describes the Mormon Prophet’s original ideas about world government. Adrus was professor of Mormon church history and doctrine at Brigham Young University in Provo, Utah, which is actually Mitt Romney’s alma mater. This book can be purchased from the normal book retailers. Below are a couple of extracts from the book. Here Brigham Young, Smith’s successor, talks about the powers of the Kingdom and that a new Constitution for America and the world that was revealed by God to Joseph Smith. This is what we are in the habit of calling the Kingdom of God. But there are further organizations. The Prophet gave a full and complete organization of this kingdom the spring before he was killed. . . . The Kingdom of God will protect every person, every sect and all people upon the face of the whole earth in their legal rights; I shall not tell you the names of the members of this kingdom, neither shall I read to you its constitution, but the constitution was given by revelation. The day will come when it will be organized in strength and power. The role of the Mormon Church in the Kingdom of God. The Church of Jesus Christ will produce this government and cause it to grow and spread” and it will be a shield round about the Church. And under the influence and power of the Kingdom of God, the Church of God will rest secure and dwell in safety without taking the trouble of governing and controlling the whole earth. The Kingdom of God will do this, it will control the kingdoms of the world. We are asked, Is the Church of God and the Kingdom of God the same organization? and we are informed that some of the brethren hold that they are separate. This is the correct view to take. The Kingdom of God is a separate organization from the Church of God. There may be men acting as officers in the Kingdom of God who will not be members of the Church of Jesus Christ of Latter-day Saints. On this point the Prophet Joseph gave particular instruction before his death, and gave an example, which he asked the younger elders who were present to always remember. It was to the effect that men might be chosen to officiate as members of the Kingdom of God who had no standing in the Church of Jesus Christ of Latter-day Saints. The Kingdom of God when established will not be for the protection of the Church of Jesus Christ alone, but for the protection of all men, whatever their religious views or opinions may be. Under its rule, no one will be permitted to overstep the proper bounds or to interfere with the rights of others. The Mormon plan sounds as bad, or worse than the New World Order plan of the CFR, Bilderberg Group. & Tri-Lateral Commission. Neither seems to love our nation & Constitution. It just the same idea, an utopian earthly “kingdom” set up by overly ambitious men.